Stockholm, Oct 23: Rohan Bopanna and Aisam-ul-haq Qureshi won their second ATP doubles title of the season, and third overall together, after outplaying Marcelo Melo and Bruno Soares in straight sets in the summit clash of the Stockholm Open, on Sunday. The top seeded Indo-Pak pair lived up to its top billing as they downed the Brazilian opponents 6-1, 6-4 in just 57 minutes in the final of the euro 600,00 hard court event. They split euro 29,400 as prize money and captured 250 ranking points each. Before this win, Bopanna and Qureshi had triumphed at Halle this year and at Johannesburg in 2010. 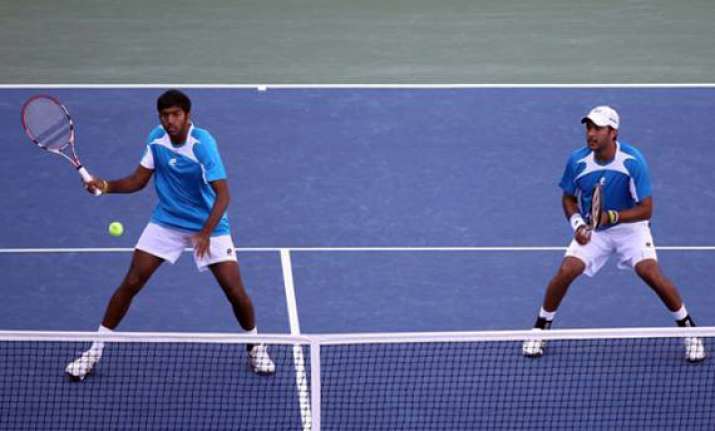 Overall, it is Bopanna's fourth ATP doubles title as he had won a title in 2008 with American Eric Butorac at Los Angeles.